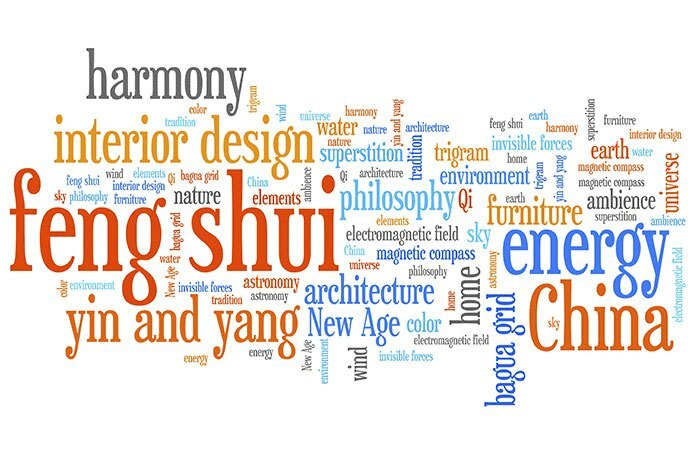 Rooted in ancient Chinese philosophy and astronomy, Feng Shui is the practice of harmonising people with their surroundings. The study of the invisible forces that hold the universe together, it explores how we can use them to achieve balance and root humanity in the world. Historically it was used in deciding the location, design and layout of important buildings, from temples and tombs through to the home and domestic sphere. After a dip in popularity, it’s made a dramatic comeback in recent years and is now practiced worldwide in interior design. When applied to the home, it aims to create a pleasant, balanced and attractive space that has the best energy to support the purpose of the room and the activities undertaken there. The kitchen, with its role as the hub of the home, plays a significant part in your health and wellbeing, and therefore it pays to ensure it’s a warm, soul-nourishing place that feeds and nurtures life. When creating good Feng Shui in your home, start with a blank canvas. Don’t be tempted to begin with something that is already broken and try to disguise it; there is only so much that the right colours or nice lighting can do if the room is a mess. A happy chef makes for a happy meal and a happy family, so for a harmonious dinnertime, food preparation should be done in a clean, tidy and well organised kitchen. Clutter saps energy, so be brutal and get rid of anything that you don’t need or use regularly. 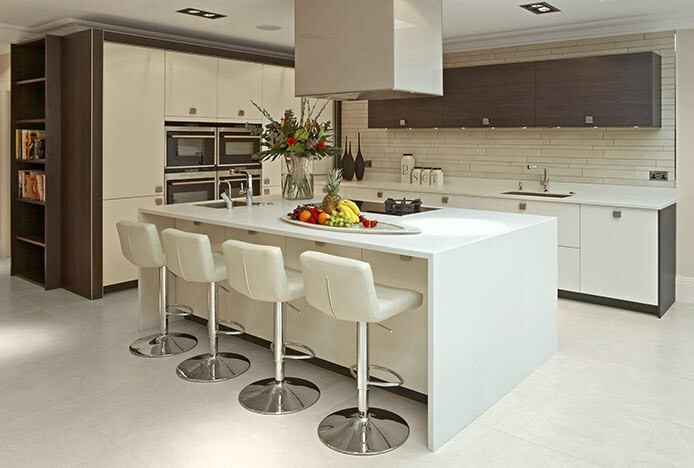 Don’t overcrowd the kitchen worktop with appliances and accessories. Instead, utilise compact storage to keep clutter off the surfaces and out of sight. This will make for a more pleasant and calming space, creating a positive mentality and peace of mind. It’s also vital there is a clear, easy route through your home. 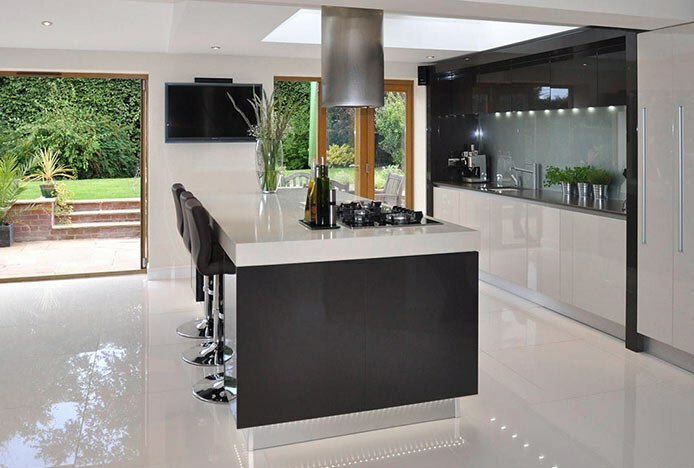 Aim to create a spacious kitchen rather than one that is cramped or overcrowded, with room for people to move about with ease. 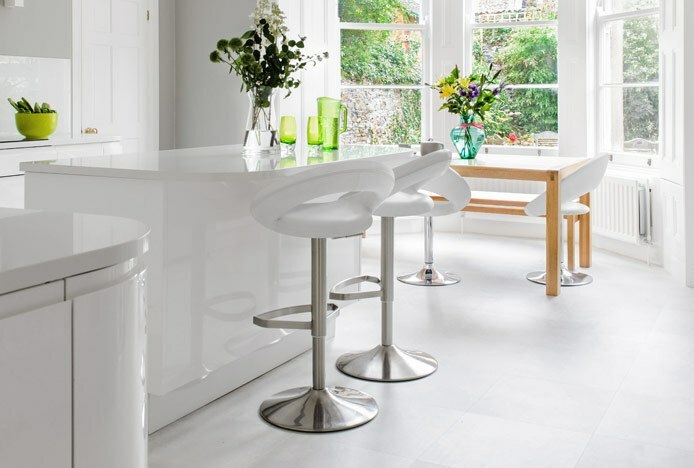 If you’ll struggle to fit a dining table and chairs in, opt for kitchen stools along the worktop or around a breakfast bar instead. Simple yet stylish, the Mars Brushed Steel Stool is a great backless design for tucking under the counter and out of the way when not in use. Never underestimate the power breathing clean, unpolluted air. Fill your kitchen with fresh air by opening the windows daily, or invest in a good air con system if you live inner city or by a busy road. Or why not go the extra mile by introducing plants such as a bamboo palm, rubber plant or peace lily - another clever way of purifying the air in your home. Not only will fresh, clean air help you avoid headaches and keep sluggishness at bay, but it will leave you feeling clear headed and ready to face the day. Plus, it encourages optimum concentration and productivity, great whether you’re cooking dinner, completing homework or washing the dishes. Good Feng Shui is also achieved by prioritising soft, natural lighting. From large bay windows to roof skylights overhead, the more the merrier to keep the energy sapping shadows away. Not only will it help you wake up in the morning, but exposure to light encourages a positive mood. But don’t worry if you’re renting your property or simply don’t have the budget to install more windows. Introduce other light sources around your kitchen, from under cabinet spotlights to a large floor lamp in the corner of the room. Balance is key, so position them at different levels for a harmonious aesthetic. Mirrors are another great trick for creating good Feng Shui, enhancing visual space by reflecting light around the room. What’s more, they also bring a revitalising energy that can calm a stressful environment. 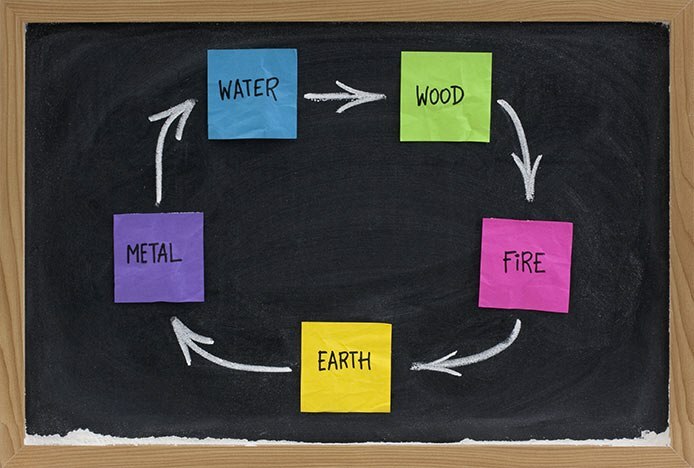 Much of the philosophy of Feng Shui stems from the Five Elements, a system of interpreting the universe made up of Wood, Fire, Earth, Metal and Water. Different colours stem from each of these and influence the mood of a room, therefore you should choose the element that will be the focus of your kitchen depending on the type of energy you wish to create. The wood element can be found in natural greens and browns, and will create a room full of growth, vitality, healing and restoration. 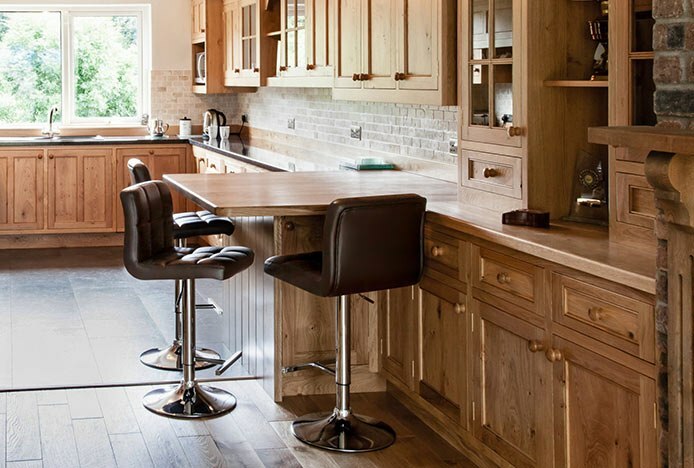 Pair rustic wooden kitchen cabinets and soft green wall tiles, alongside our solid wooden kitchen stools. Fire, on the other hand, is channelled through reds, oranges, yellows, purples and pinks. Bold and beautiful, it’s ideal if you’re looking to create a highly energised kitchen full of much joy, passion and excitement. For a kitchen that provides sustenance and stability, the earth element is full of much nourishment. It’s rooted in neutral, earthy tones of beige, cream, light yellow and pale brown, making our cream dining and kitchen chairs an ideal choice. Greys, whites and silvers make up the metal element, producing a calming kitchen with precision and efficiency. Our popular range of brushed steel kitchen stools, such as the stunning Stardust Brushed Steel Stool Smoked, deliver that cool, crisp vibe. Last but not least, for peaceful, refreshing kitchen with freedom and abundance, the water element is made up of blues, blacks and greys. 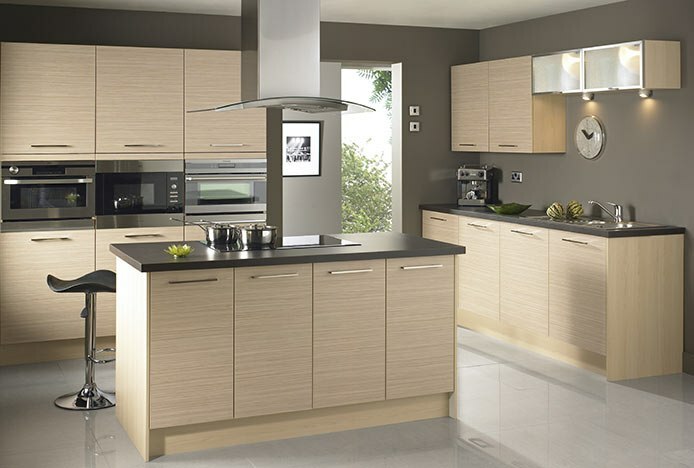 And finally, don’t forget that the kitchen is more than just four walls and various cooking appliances. So often people focus on the looks, when actually it’s how the room makes you feel that should take priority. You want a life-giving kitchen that nurtures the soul and leaves you feeling healthy, energised and at your best. This can be achieved in part through simple nutritious additions like displaying vibrant bowlfuls of fruit, fresh colourful flowers and beautifully scented herbs. Think about what you will smell and taste, as well as what you will see.